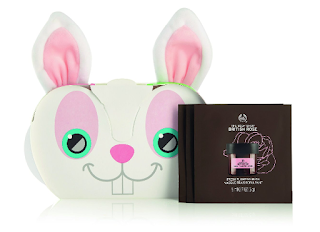 The Body Shop Expert Facial Masks Sampler Set With 9 Face Mask Packettes + Headband With Bunny Ears $9.68 (Reg $19.99) + Free Shipping with Amazon Prime or $25 Order. You can ignore the description under the photo, it is not correct. You can see in the title and reviews that you will get 9 Masks, the bunny case and the headband with bunny ears.